Three cheers for three tiers. When it comes to explaining our appreciation for high tea, our list of reasons is as large as the top tier treat itself (and then some). The timeless tradition of working one’s way through the food pyramid with balanced bite-sized delicacies is as glorious as it is good for any occasion, including mid-week luncheons when you’re feeling deserving of something a little bit special (being an adult is hard, you’ve earned it). 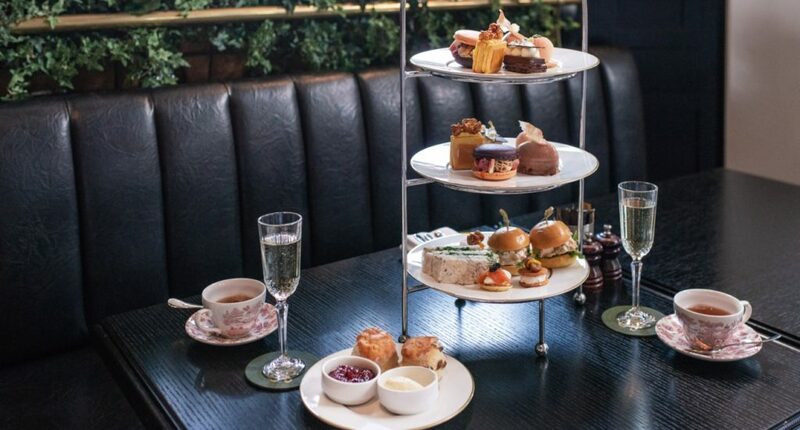 South Bank’s exquisite Emporium Hotel is known for offering on par high tea with an extended menu meeting the needs of every dietary requirement in the book, meaning that you can have your vegan caramel popcorn cookie and eat it too. A tantalising total of five passionately curated menus are sure to grab the attention of anyone that’s vegetarian, vegan, nut-free, gluten-free or a good old omnivore… so, literally everyone. Standouts you’ll want to settle in with include a lobster brioche bun, signature vegan macaron with spiced orange ganache, fig gel and fresh fig, parmesan shortbread with goats’ cheese, marinated fig and candied orange, and Emporium blend tea-soaked sultana scones with rhubarb and rosella jam and thick vanilla cream. 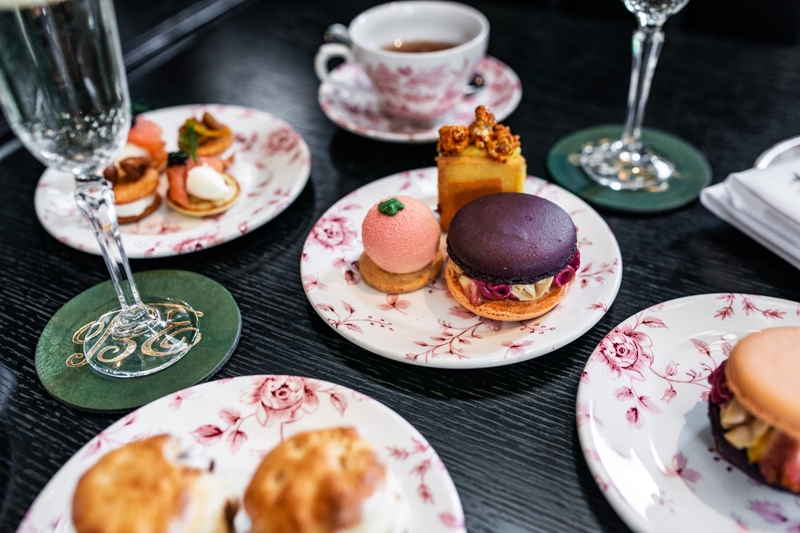 Each high tea is spread across three tiers of culinary delights in the hotel’s own slice of Parisian life, Belle Époque – a gorgeous space pieced together by black, white and gold furniture, lush hanging plants and a boisterous bronze Champagne bar. Boy, is your Instagram feed in for a good day. Besides choosing the perfect menu for you and your lucky dining companions, drinks packages are also aplenty. The starting price of $55pp is paired with your choice of tea or coffee, moving up to $65pp with a glass each of Mumm Petite Cordon, or finally reaching the peak of all packages for $75pp with a glass each of NV Mumm. Either way, Mumm’s the word (and our package of choice). Have a taste of the complete menu and book in here, as there won’t be any going back once you see what you’re in for. Coffee, high tea, or me? The answer is obvious.